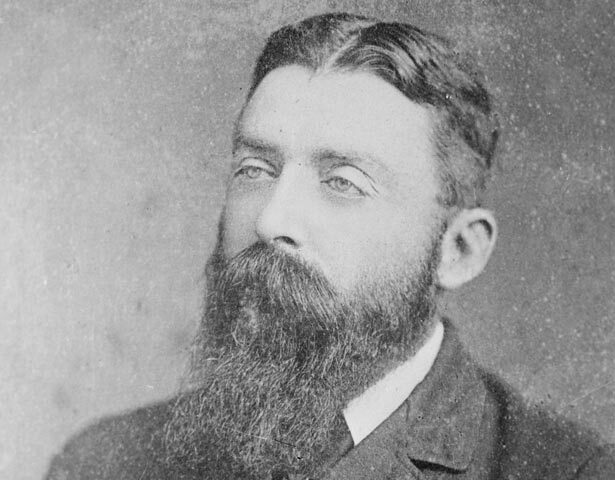 John Sheehan was born in Auckland in 1844, and trained as a lawyer. In 1869 he was involved in a lengthy Native Land Court case about land at Orakei (Auckland), and as a result he developed close links with a number of Ngati Whatua chiefs. He took part in local politics and held administrative jobs in the Auckland province. In 1872 Sheehan was elected to the House of Representatives. He was the first European New Zealand-born Parliamentarian. He also acted as counsel for the Repudiation movement in the 1870s. This movement, led by a number of prominent Hawke's Bay chiefs, claimed that Maori had been swindled out of their land by unscrupulous Europeans, including Donald McLean, a senior government land purchase agent. Sheehan was an impressive advocate for the repudiationists, but did not succeed in undoing any land purchases. George Grey was elected Premier in 1877, and Sheehan became Native Minister and Minister of Justice. He pushed for the re-introduction of Crown pre-emption (the Crown’s monopoly on purchasing Maori land). He believed this would get rid of corrupt "middle men" and speculators, simplify the Maori land laws, and end the corruption of many Native Land Court hearings, especially those at Cambridge. He also believed that the wars of the 1860s had been a mistake, and attempted to open a dialogue with the King Movement and Taranaki Maori in an effort to open up these districts to European settlement. He had many powerful enemies, however, and because of this, and his own increasing incompetence, Sheehan failed to carry out virtually all his initiatives. He bungled his negotiations with the pacifist Parihaka prophet Te Whiti-o-Rongomai, whom he regarded as a fraud and fanatic. He also lost a chance to peacefully resolve grievances over the confiscated land in Taranaki. The Taranaki difficulties contributed to the fall of the Grey ministry in 1879 and to the end of Sheehan's political career. In 1881 the Armed Constabulary, led by his successor, John Bryce, destroyed the Parihaka settlement. A dissolute lifestyle led to Sheehan's early death in 1885. We have 27 biographies, 4 articles, related to John Sheehan.